Meetings. They are a necessary evil of the business world and can cause more harm than good if not approached in the right manner. 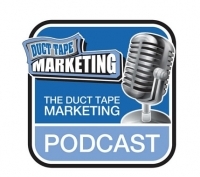 In this issue of the Pulse, we share an episode of the Duct Tape Marketing podcast featuring author Cameron Herold, with tips on how to ensure your meetings are running smoothly. Knowing when to complete a task yourself and when to delegate it to your team can be a source of anxiety. However, those who are effective at delegating both projects and authority often reap the greatest rewards. In this issue of the Pulse, we look at ways you can save time, achieve more and increase your value by delegating to others.